The actor, who turns 50 this week, flaunts her daredevil skills. Presenting The Daring Issue in which Julia Roberts rocks! To celebrate the actor's 50 birthday, Harper's Bazaar dedicated their cover to her. 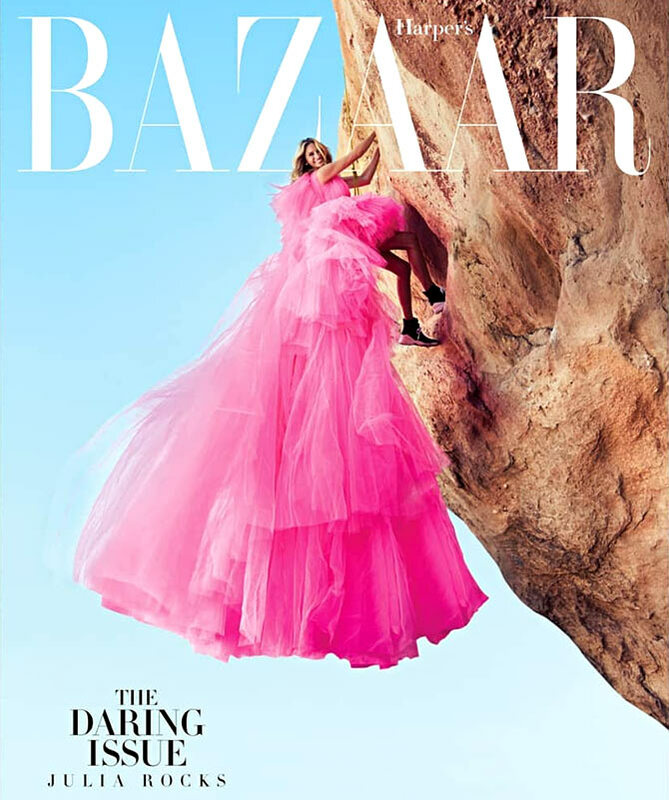 Dressed in a lovely pink layered gown, Julia is seen attempting to climb a rock. While we aren't sure if she managed to complete the task successfully, she did end up making a pretty cover star. Photographed by Alexi Lubomirski, the cover has been styled by Elizabeth Stewart. For the second look, the actor rocked a black jumpsuit. One look at the cover and it's impossible to guess that Julia will turn 50 this week.